Gold prices headed south in Asian session on Monday, with market participants waiting for a fresh batch of economic data this week and a new meeting of the Federal Reserve. 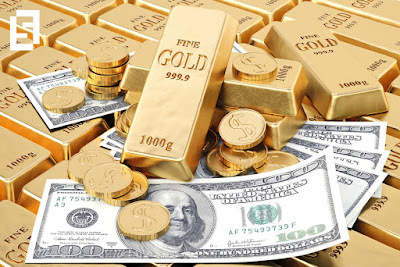 On the Comex division of the New York Mercantile Exchange, gold for June delivery fell 0.38 percent to trade at $1263.50 a troy ounce as of 07:00 GMT. The yellow metal remained mostly flat on Friday’s session, despite downbeat economic data in the United States, ending the week around $1,268 a troy ounce. The Bureau of Economic Analysis reported the lowest first-quarter growth rate in three years, leaving the GDP at a disappointing 0.7 percent, below expectations for a 2.1 percent build. In a separate report, the University of Michigan said consumer sentiment notched down in April to 97.0 points, falling short from an expected 98.0 points. While gold tends to react positively on weaker-than-expected economic reports, it failed to capitalise this week’s figures, as well as rising geopolitical tensions in the Korean peninsula. On Saturday morning, Kim Jong Un’s regime fired a new ballistic missile, although it exploded few minutes after launch. These actions followed remarks from US Secretary of State Rex Tillerson, asking the world community to stop diplomatic relations with the Asian nation. The US dollar index, which gauges the greenback against six major rivals, was standing at 99.05 as of 07:00 GMT. Bullion is sensitive to changes in the greenback, as it makes it less or more competitive for investors holding foreign currency. Crude futures were slightly lower in Asian hours on Monday amid low volatility due to the Labour Day holiday and as investors looked ahead of fresh inventories later in the week. US West Texas Intermediate oil futures traded at $49.22 a barrel on the New York Mercantile Exchange, down 0.22 percent from its prior close. The international Brent crude oil futures dropped 0.31 percent to trade at $51.89 a barrel as of 06:50 GMT. Oil benchmarks ended in green territory on Friday, as Russia reported an almost 300,000 barrels cut in oil production last month, showing full compliance with the output cut agreement. Russia joined a deal with OPEC to reduce in nearly 1.8 million barrels per day global oil production in the first six months of the year. The agreement is meant to prompt up prices by fighting an ongoing crude oversupply due to the excessive production of the United States. Russian Energy Minister Alexander Novak gave no hints on whether Russia will jump in an extended crude oil deal with OPEC or rather come back to older production levels. As a reaction to the news, Saudi Energy Minister Khalid al-Falih said that Russia’s compliance with the planned cuts in April was honestly good. The kingdom has already expressed itself in favour of extending the output pact for an extra similar period. The black gold gains were limited by Baker Hughes weekly oil rig count, which showed a 9-unit increase of rigs operating in US territory. The total count has now moved to 697 units. While investors are focused on the next OPEC meeting on May 25, when members will reach a final decision on the deal, crude oil stats will remain on the spotlight this week.